"Hypocrisy is the homage vice pays to virtue," goes the old saying. At Canadian public universities, hypocrisy threatens to destroy one of higher education's most cherished and long-standing virtues: the free exchange of ideas. Since 2011, the annual Campus Freedom Index has been exposing the glaring differences between the lip service paid by universities to free expression and academic freedom, and the ongoing censorship of controversial speech on campus. For example, the University of Toronto has among the best policies in Canada: "Within the unique university context, the most crucial of all human rights are the rights of freedom of speech, academic freedom and freedom of research." The U of T further declares that "these rights are meaningless unless they entail the right to raise deeply disturbing questions and provocative challenges to the cherished beliefs of society at large and of the university itself." But the U of T ignores these words by condoning the alleged censorship of controversial discourse by the University of Toronto Mississauga Student Union (UTMSU). This student union allegedly denied registered club status to a pro-life group, because of its stance on abortion. Rather than condemn the unlawful behaviour of this student union -- which students must join and pay fees to in order to study at the university -- the U of T is responding with deafening silence. This pro-life club had no reasonable alternative but to sue UTMSU in order to have its rights protected. Proactive intervention by the university could have prevented the need for these costly legal efforts. In similar fashion, Ryerson University says that it "embraces unequivocally" the free exchange of ideas on campus. Yet Ryerson has not spoken in defence of the Men's Issues Awareness Society, a Ryerson student group which seeks to discuss issues such as men's academic underperformance, and mens' higher rates of suicide and homelessness. The Men's Issues Awareness Society was allegedly denied student group status by its student union, because its advocacy might make some women feel "uncomfortable," "unwelcome" and not "included." In an editorial penned by student union president Andrea Bartlett, she expresses that the group was denied club status because many of the proposed topics were already covered by other student groups, and group representatives "refused to acknowledge the reality of patriarchy and other systemic issues of privilege" which, according to her, runs counter to RSU's core equity values. This men's society has had to take the student union to court to defend the club's free expression and free association rights; this is one of several court actions in Ontario against student unions. The University of Alberta also exemplifies hypocrisy, defending in court its right to censor controversial and unpopular speech by pricing it out of existence. The university's policy states that "[no] student shall, by action, words, written material, or by any means whatsoever, obstruct university activities or university-related functions." Yet the U of A knowingly condoned the illegal mob behaviour of those who physically blocked and obstructed a pro-life display on campus. This university took no action to prosecute students who forcibly disrupted and silenced speech they disagreed with. 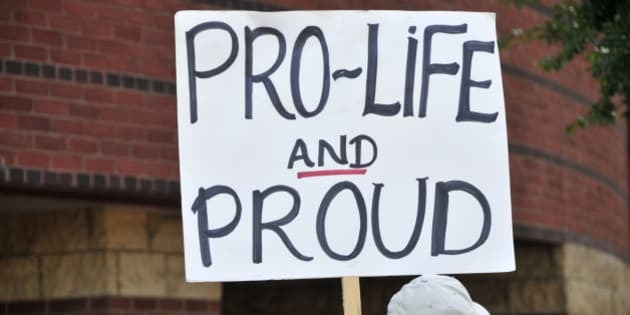 The U of A now refuses to allow students to put up a pro-life display unless the club pays "security fees" of $17,500. There is, perversely, something refreshing about the consistency of a few student unions which oppose free expression. The University of Windsor claims to be "a place where freedom of expression is protected vigorously and uncompromisingly," but this same university rescinded its approval for a peaceful pro-life club display of small pink-and-blue flags on campus after the flags had already been placed. Some students complained that the display was too visible, so university authorities obligingly ignored the vandalism and obstruction of the flag display. The university also failed to prosecute students who disrupted a lecture by a former Israeli diplomat and member of the Bedouin minority, organized by a Jewish student group on campus, despite its own rules which prohibit the "[intentional] obstruction or disruption of... authorized activities on university premises." In light of such widespread hypocrisy at Canada's institutions of higher learning, there is, perversely, something refreshing about the consistency of a few student unions which oppose free expression through both their policies and their practices. The University of Toronto Mississauga Student Union, the University of Victoria Student Society and the Ryerson Students' Union have earned "F" grades for both their words and their actions. These three student unions are the worst in Canada, but at least they are honest about their intentions. Michael Kennedy and John Carpay are co-authors of the 2016 Campus Freedom Index CampusFreedomIndex.ca, published by the Justice Centre for Constitutional Freedoms (JCCF.ca), which also acts for student groups in the above-referenced court cases.